Is your website secure? Conversations about data privacy are at the forefront of everyone’s mind. In fact, the security of your website is so important that sites not properly secured turn away your potential customers! Data privacy is prevalent in the news recently, especially in the digital space. Several years ago, Edward Snowden’s release of confidential information on the government’s domestic surveillance projects stirred debate about Internet privacy. In a more recent example, last year Yahoo suffered a major data breach, with almost half a billion users’ data and account details stolen. 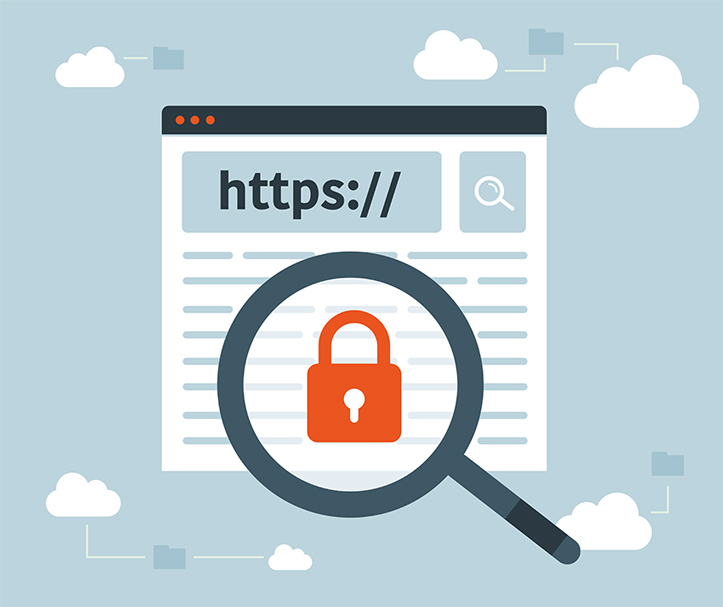 In a time where there’s general skepticism of Internet sources, it’s more important than ever to establish your website’s credibility and to secure your website with HTTPS. HTTPS is simply the secure version of your HTTP website. This secure version is designed to keep your information safe when visiting a website. The connection and data exchange with the server is encrypted. This keeps information like browsing history, passwords, and credit card numbers safe from outsiders. As a result, security risks posed by unsecured HTTP sites turn away users. Encrypt any pages that require the input of sensitive information (passwords, billing info, etc.). Switch the entirety of your site to HTTPS. Mixing HTTP and HTTPS content is still dangerous, and opens up the site to attacks. Have an active SSL certificate registered under your domain name. Check that you’re using the appropriate HTTPS versions of URLs in your sitemap.xml. Utilize redirects or canonicals to HTTPS URLs to help with SEO. Deploy the latest security protocol and programs. Use HSTS to ensure you give users secured content. Using SNI allows for IP address universality. Do not broadly scope sensitive cookies and give them a “Secure” attribute when set up. This switch does not completely hacker-proof your website. However, it offers your site safety from certain types of cyber attacks. Take the time to put these protections in place the right way. Contact us to learn more about how to secure your website with HTTPS.